Collections by Weiser offers five handlesets to choose from. These handlesets offer solid forged brass construction and Grade 1 cylinders for uncompromised security. Exuding a sense of timeless beauty, the oval shape and sophisticated lines of the Brixton knob make a lasting impression. This privacy knob/lever is best used in interior bed and bath applications where privacy is required. Both knobs/levers are locked or unlocked by turn button inside. The outside knob/lever can be unlocked by an emergency key. The Venetian Bronze finish is hand-rubbed to reveal unique bronze highlights and provides a rich and warm complement to the product's style. Brixton Venetian Bronze Privacy Knob Collections by Weiser offers five handlesets to choose from. These handlesets offer solid forged brass construction and Grade 1 cylinders for uncompromised security. Exuding a sense of timeless beauty, the oval shape and sophisticated lines of the Brixton knob make a lasting impression. This privacy knob/lever is best used in interior bed and bath applications where privacy is required. Both knobs/levers are locked or unlocked by turn button inside. The outside knob/lever can be unlocked by an emergency key. The Venetian Bronze finish is hand-rubbed to reveal unique bronze highlights and provides a rich and warm complement to the product's style. 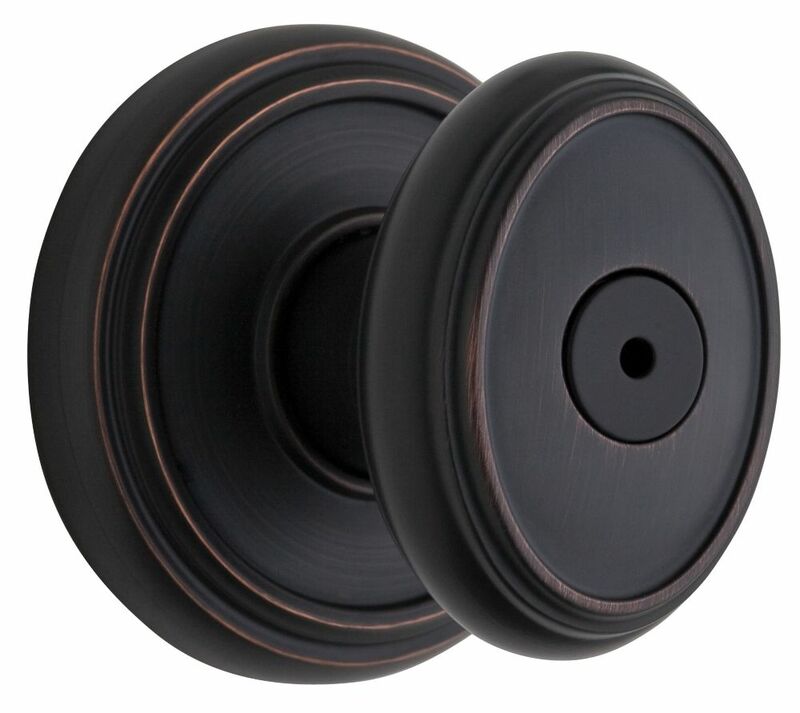 Brixton Venetian Bronze Privacy Knob is rated 5.0 out of 5 by 1. Rated 5 out of 5 by brophil99 from Very nice We are very happy with this knob. Super easy to install; has options to install on deep set locks. Looks very nice. Appears to be very good quality. Love the unique oval design.